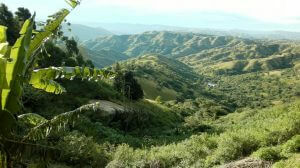 The breathtaking Valley of a Thousand Hills is a beautiful area of the province of KwaZulu-Natal - the Kingdom of the Zulu. The Valley of a Thousand Hills is named after the many hills, cliffs and valleys which rise up from the banks of the Umgeni River as it flows from the distant Drakensberg mountain’s to the Indian Ocean. 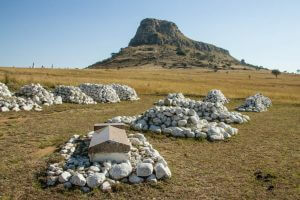 The diverse area combines the luxury of laid-back country living with an..
A must for all history lovers, this full day tour visits the battlefields of Isandlwana, followed by Rorke’s Drift in the afternoon. The Battle of Isandlwana in 1879 was the first major encounter in the Anglo–Zulu War between the British Empire and the Zulu Kingdom. It resulted in a heavy defeat for the British and Colonial troops by King Cetshwayo’s Zulu Army. The knowledgeable tour guide will po..
For something slightly different during your time in Durban, take a 4x4 drive up the highest road pass in Africa on this full day excursion to visit the Kingdom of Lesotho. From the green hills of the Midlands, our vehicles tackle the spectacularly steep Sani Pass en-route to the Kingdom of Lesotho and a taste of local culture in this land locked country. Once inside, we pay a visit to a Sotho vil..
Shakaland, known as 'the greatest Zulu experience in Africa', is an authentic replication of a Zulu 'Umuzi' or homestead. 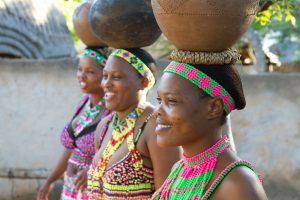 This enjoyable, full day tour includes an opportunity to sample traditional Zulu beer, marvel at the energy and rhythm of the Zulu dancers, observe the building of a Zulu hut, and appreciate the artistry of fashioning traditional weapons and crafts. The day also includes a visi..